Around 42% of college students in America will never read another book after graduation. Compare these students with Todd Combs one of the money managers at Berkshire Hathaway. He spends most of his time reading and thinking. 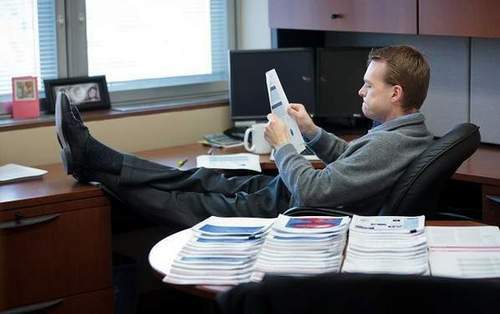 In one interview he said that he reads 500+ pages of annual reports every week. What drives Todd Combs to read so much when many of us spend a lot time on unproductive things like watching television? The simple answer to this question is his habit. Our brain is an energy-guzzler. In order to conserve energy it makes repeated activites as second nature by rewiring itself in a certain way.This happens for both reading and watching television. These repeated activites are habits and they emerge because the brain is constantly looking for ways to save effort. Once habits are are formed they are encoded in our brain forever. This is the reason why we need to acquire right habits very early in life. In the fantastic book The Power Of Habit author Charles Duhigg explains about the science of habit formation. He provides us with the tools using which we can program good habits within us. In this post I will be summarizing my learnings from this book. Picture the human brain as an onion composed of layer upon layer of cells. Most of our complex thinking happens at the outermost layers of the brain. Without this you will not be able to comprehend this post. On the evolutionary timescale, the outermost layer got added very recently. As you go deep inside the brain towards the center of the skull, you will find a golf ball sized lump of tissue. This is called as basal ganglia where our habits are stored. Since basal ganglia is a primitive structure, you can also find this inside the rat’s brain. In order to study the functions of basal ganglia, researchers from MIT conducted experiments with the rats. They placed probes inside the rat’s skull and put them inside a T-shaped maze. While the rat wandered inside the maze to get the chocolate, the researchers monitored its brain activity. The scientists repeated their experiments several times and monitored the brain activity of the rats. For the first few rounds each rat had a lot of activity in its brain. This is reflected clearly in the image on the left side. Now focus only on the image on the right hand side. Why did the rat’s brain spike upon hearing the click sound? 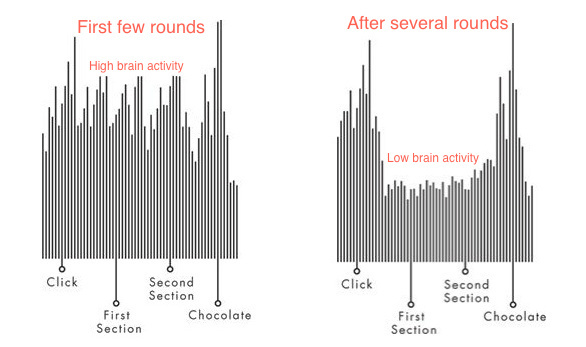 As soon as it heard the click sound its brain recognized that it’s time to get the chocolate. This is why there is an initial spike. At this point its basal ganglia takes over the control and retrieves the information necessary to navigate the maze and get the chocolate. Any habits executed by the basal ganglia is less taxing on the brain and this is the reason why its brain activity is low. When the rat gets the chocolate it becomes happy which is reflected by another spike at the very end. By navigating the maze over and over the rats formed a habit loop. There are three steps involved in the habit loop. You need a cue. For rats the click sound acted as a cue. 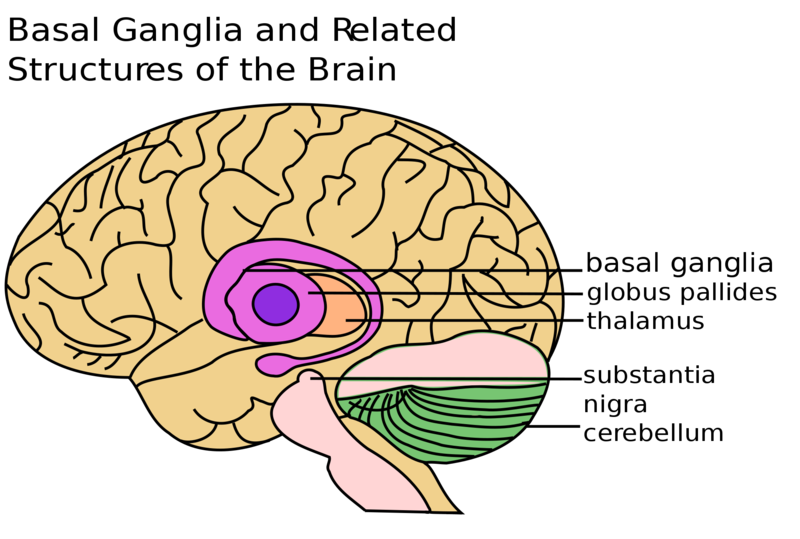 This cue in turn makes the basal ganglia to execute the stored routine subconsciously. The routine for rats is to navigate the maze and get the chocolate. The final step is the reward which for rats is to eat the chocolate. This cue-routine-reward is the habit loop. This habit loop happens to be same for humans also. Consider the act of brushing our teeth. As soon as we wake up in the morning, the bad smell in our mouth acts as the cue. Without even thinking we execute the routine stored inside the basal ganglia and brush our teeth. The reward after brushing is clean teeth and fresh breath. Wolfram Schultz is a professor of neuroscience at the University of Cambridge. He conducted a novel experiment with a monkey named Julio. One day he positioned Julio in front of a computer monitor. Julio’s job was to touch a lever whenever color shaped objects appeared on the monitor. If Julio touched the lever when the shape appeared then it would be rewarded with a drop of blackberry juice. After repeating the same experiment several times the habit loop for Julio started to emerge. During the experiment Schultz was monitoring the brain activity of Julio. As the experiment progressed Schultz noticed something interesting. Take a look at the image on the left hand side. During the first few rounds the brain activity of Julio spiked when it received the blackberry juice. But as the experiment continued its brain activity started spiking when the cue appeared on the screen. The monkey started associating the cue with the reward. This is because of pavlovian association. As soon as the monkey saw the cue it started to crave for the reward. This craving is extremely powerful and it drives our habit loop. Dozens of studies show that willpower is the single most important habit for individual success. For a long time people taught that willpower is a skill that once developed remains constant forever. But Mark Muraven a PhD student did not agree with this view. He argued that if willpower is a skill then why does it not remain constant throughout the day. He conducted a novel experiment and concluded that willpower is like a muscle which gets exhausted with use. In his lab he setup one bowl of freshly baked cookies and another bowl of radishes. The participants were undergraduates and they were divided into two groups. Before the experiment both the groups were asked to skip a meal. One group was instructed to eat the cookies and ignore the radishes. The other group was asked to ignore the freshly baked cookies and eat only the radishes. The participants were told that the point of this experiment is to test their taste perceptions. But this was not true. The purpose of this experiment is to force one group of students (radish eaters) to exert their willpower. After five minutes into the experiment Muraven entered the room and told the participants to wait for another fifteen minutes so that the sensory memory of the food they ate will fade. To pass time he asked them to complete a puzzle. The puzzle was to trace a geometric pattern without lifting the pencil from the page or going over the same line twice. The puzzle was the main purpose of the experiment and this was not revealed to the participants. Also the puzzle was impossible to solve which the participant never knew. How did both the groups perform? The cookie eaters, with their unused reservoirs of self-discipline, started working on the puzzle. In general, they looked relaxed. One of them tried a straightforward approach, hit a roadblock, and then started again. And again. And again. Some worked for over half an hour before the researcher told them to stop. On average, the cookie eaters spent almost nineteen minutes apiece trying to solve the puzzle before they rang the bell. The radish eaters, with their depleted willpower, acted completely different. They muttered as they worked. They got frustrated. One complained that the whole experiment was a waste of time. Some of them put their heads on the table and closed their eyes. One snapped at the researcher when she came back in. On average, the radish eaters worked for only about eight minutes, 60 percent less time than the cookie eaters, before quitting. So far we learnt about habit loops, craving, and willpower. Let us put this knowledge to use for developing a new habit. 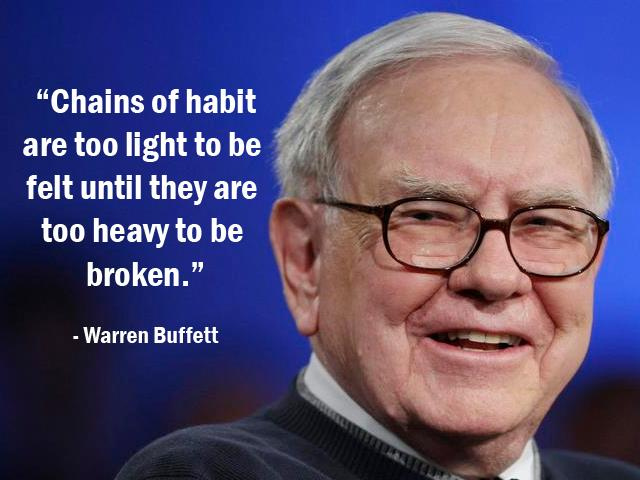 Which habit should we develop? The new year is just around the corner and one of the resolution which we will all have is to exercise regularly. Let us see how to develop the habit of exercising regularly. Step 1: Before falling asleep you should create a list of tasks that you will be doing the next day. The first item in the list should be exercise. Why is this important? When we write things down we will most likely follow it because of our friend commitment-and-consistency. Exercising is hard work and our brain will try to avoid it. It is very important to do it early in the morning as our willpower tank will be full after a good night sleep. So odds of skipping it is very low. If you are a geek and looking for a time management software try timeful. Step 2: Go to bed by wearing a gym pant. Also keep your running shoes in front of your bedroom. Why is this important? After waking up you will definitely notice your pants and running shoes which will act as your cues. After finishing the exercise reward yourself with something you like. It could be a smoothie or the endorphin high you get after the exercise. Continue doing this for several days and you will develop a habit loop. 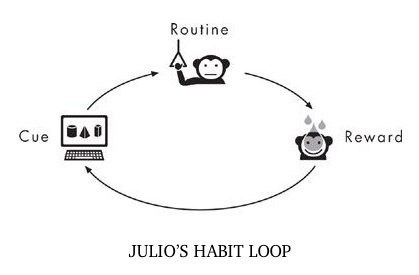 Step 3: To make your habit loop powerful we need to crave like monkey Julio. The monkey craved for blackberry juice the moment it noticed the cue. Similarly when you look at your cues you need to crave for the reward you chose in Step 2. Using my brain I have created a list of steps to trick my brain so that it can exercise regularly. Is this not a paradox? Will this trick work? 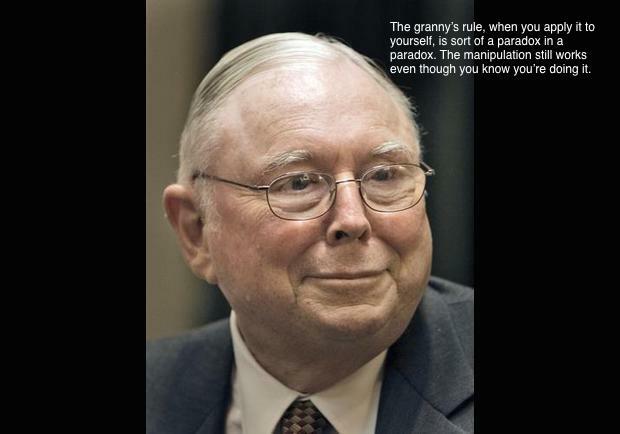 Charlie Munger thinks that it will and so I believe that it will. Like always, another very thoughtful article. Thank you Jana. Is there any cues or tips for breaking an old habit or replacing an old habit with a new one? If i have to invert this whole thing, avoiding the cue completely is the key to breaking an old habit. However, I am not sure if merely avoiding the cue would make the habit go away. Say you avoided the cue for 21 days (read somewhere that it takes 21 days for your brain to form something as an habit) and on 22nd day you see the cue. Would the pavlovian association automatically happen and you again fall prey to that habit or it needs will power? 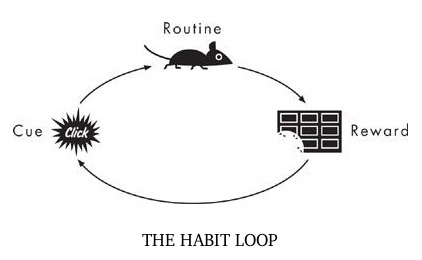 The habit loop has 3 pieces; cue -> routine -> reward. You can’t control the cue and reward as it happens subconsciously. You can only control the middle piece which is the routine. Thumbs up.. Nicely written and very helpful in terms of providing a roadmap for changing habits. Keep the good work going, Jana. Its a pleasure to read your work. Jana, Thanks for sharing your thoughts on the power habits. It is very insightful and you have elegantly tied multiple models to convey the power of habits. I enjoyed reading and re-reading it 🙂 . Why form habits at all !! Just to make life simpler ! Habits also lead to addiction, which is looking for a reward at whatever cost !! Why not just work it out every time ! Will power may be limited quantitatively but is it same for everybody? Obviously Not, the amount varies for each person and endeavour could be to build up this pool sufficiently large not only to meet individual requirements but to meet societal requirements as well. This will entail rewards after some work out!! I find not much use of my blog. This is excellent knowledge right here. In one place, one blog. Reblogged this on Financial Virtue.